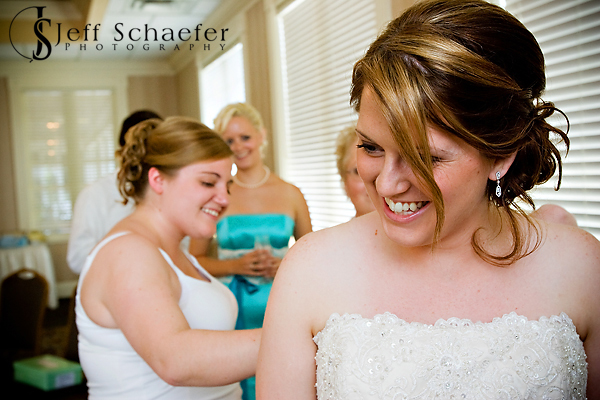 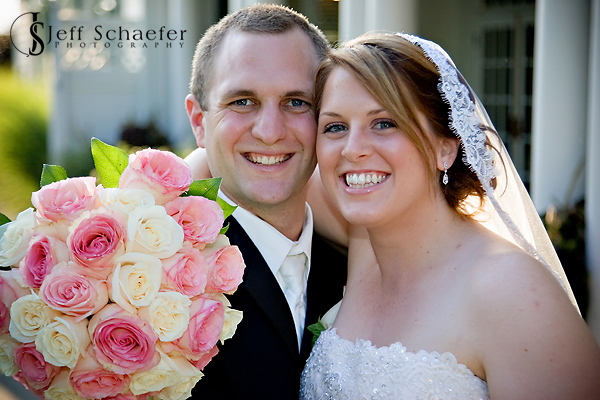 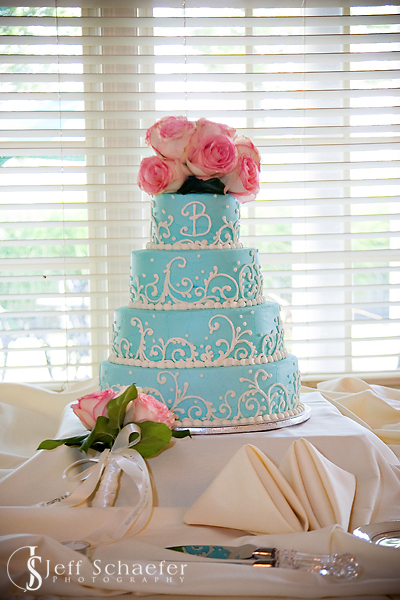 Jon and Olivia's wedding was at the beautiful Manor House in Mason Ohio. 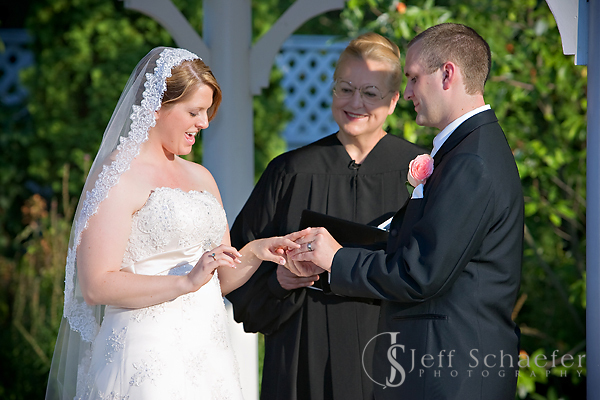 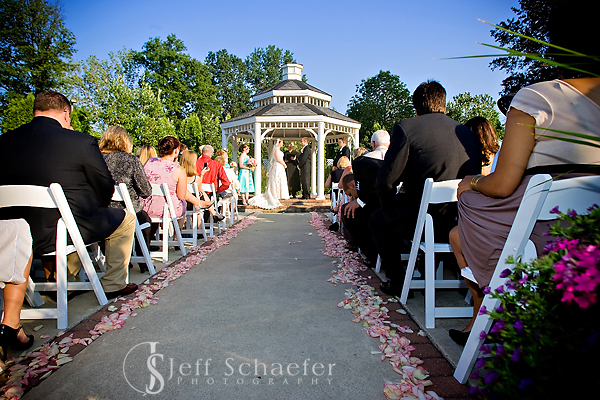 Their wedding ceremony was at the gazebo, outside on a perfect summer day. 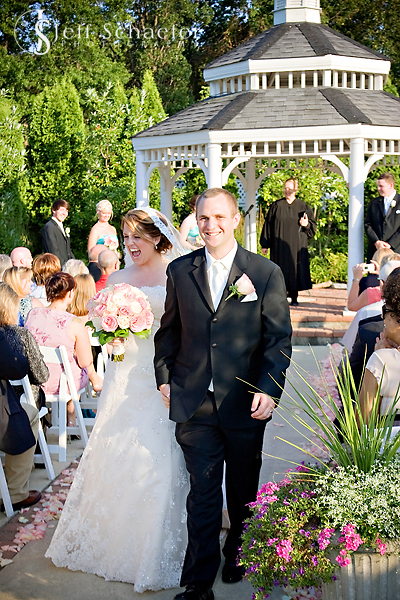 The Manor House's garden, gazebos, columns, and architecture provided a stunning backdrop for casual portraits during the outdoor cocktail hour. 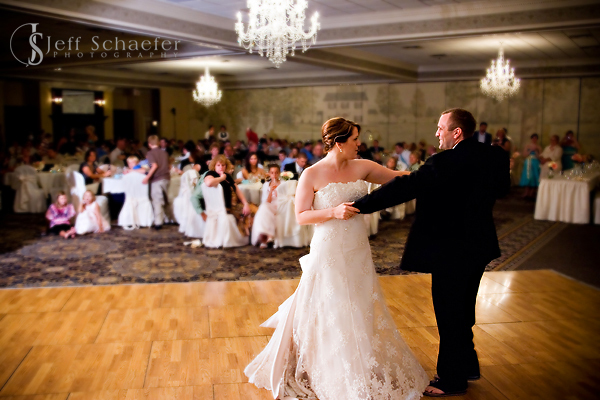 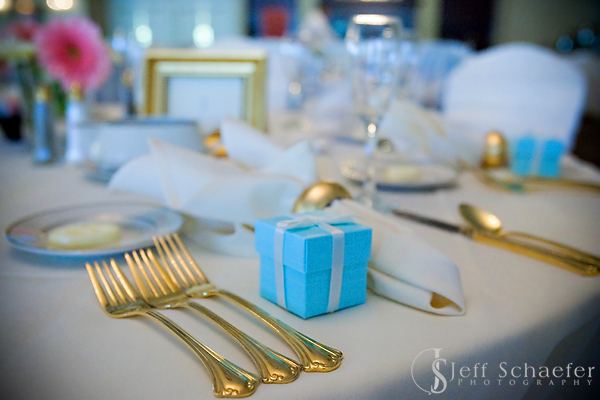 The reception rocked the night away inside the Manor Ballroom. 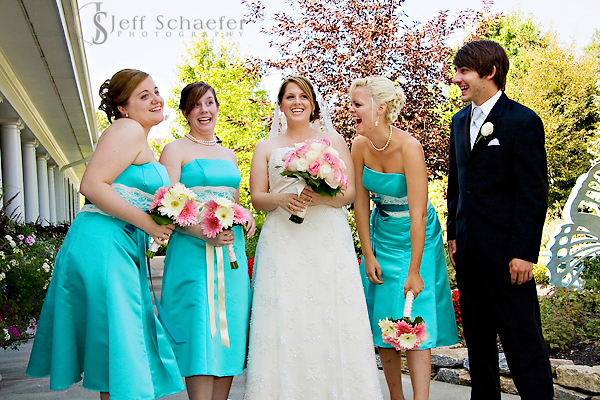 The bride's attendants have a little fun in the Manor House gardens. 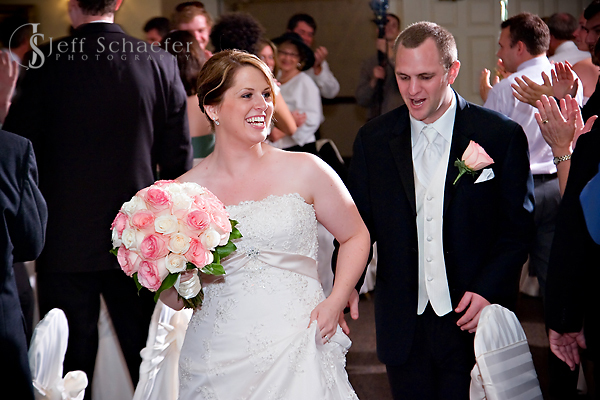 Olivia surveys the scene as she is escorted down the aisle. 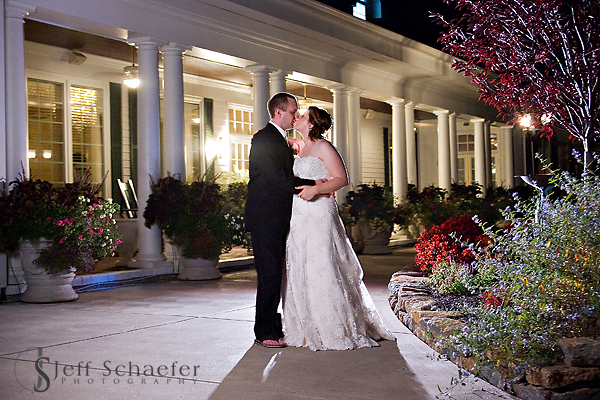 The Manor House is located in Mason, OH, just outside of Cincinnati.